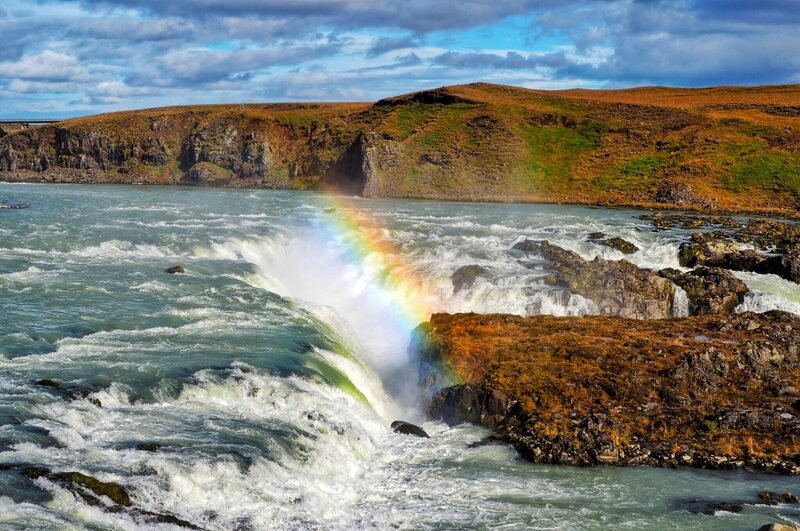 Chasing the beautiful waterfalls and rainbows in Southern Iceland is one of the best things to do in Iceland. 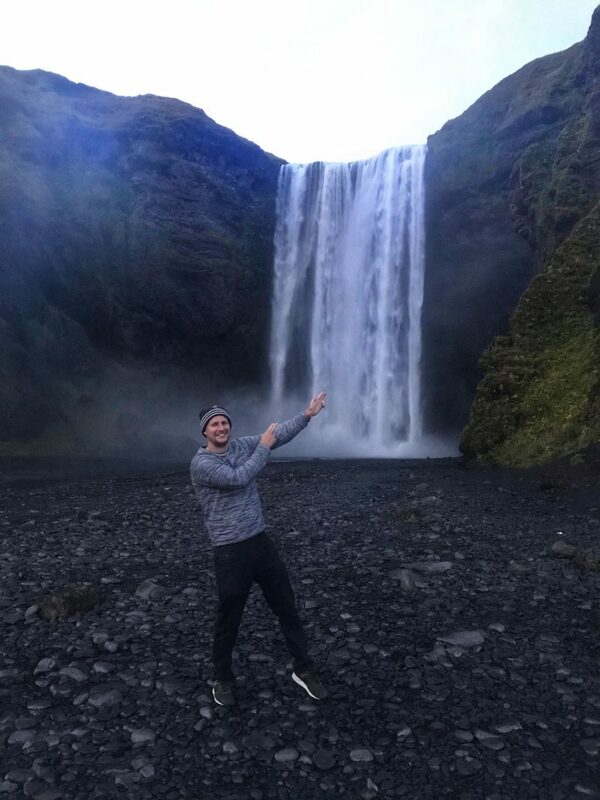 The waterfalls are all so unique, each with their own Icelandic folk tales, which only adds to their mystique. 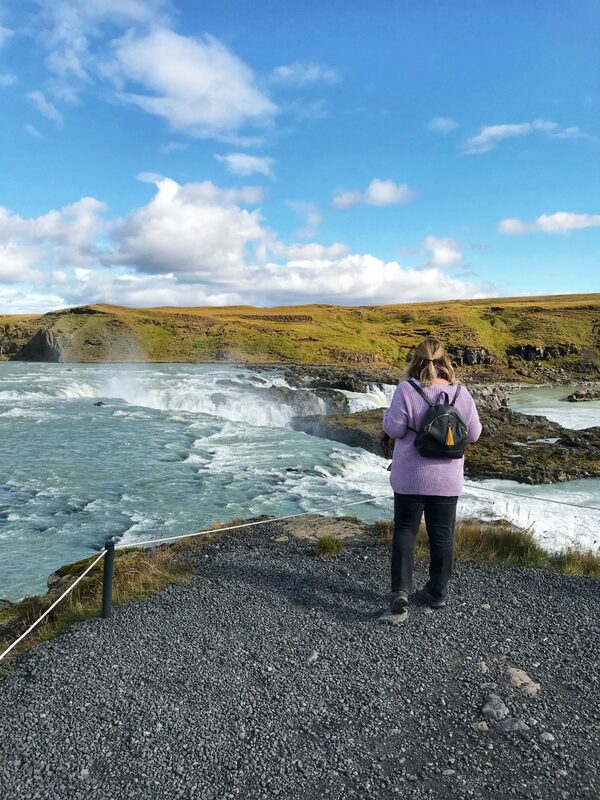 In this post, I am sharing 5 of the best waterfalls in Southern Iceland, including some well-known waterfalls from the famous Golden Circle Tour as well as a few of Iceland’s hidden waterfalls that you may not be aware of. 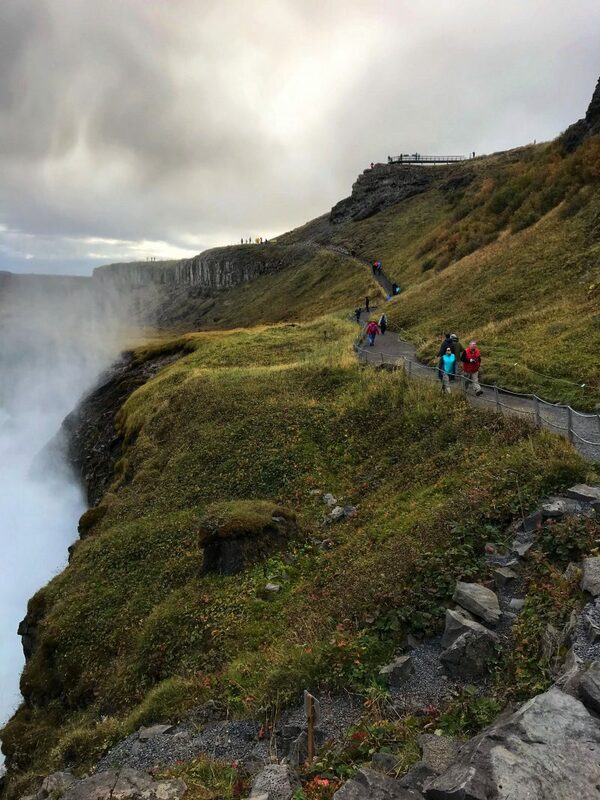 Cascading down a three-step staircase before plunging into crevices of the Hvítá River, it is one of the most dramatic waterfalls in Southern Iceland. 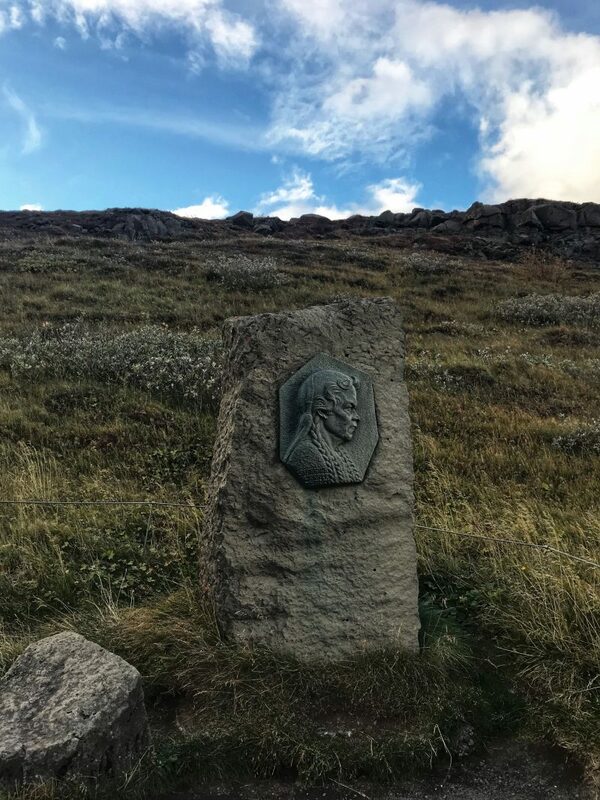 The falls pay homage to Sigríður Tómasdóttir, an activist who helped preserve Gullfoss and helped prevent the industrialisation of the falls. 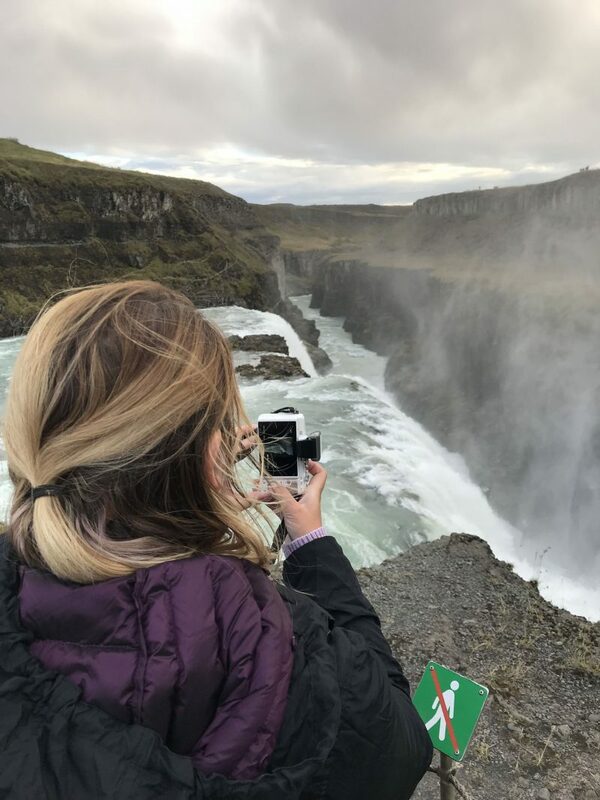 Sigríður and her sisters used to guide tourists around Gullfoss and even built the trail that led down to the waterfall. The name Gullfoss is believed to have come from various theories. The first, that is is named after the golden evening hue which often colours the glacial water. The second theory is that the name was inspired by the rainbow, which can appear when the sunshine hits the water spray of the the waterfall. 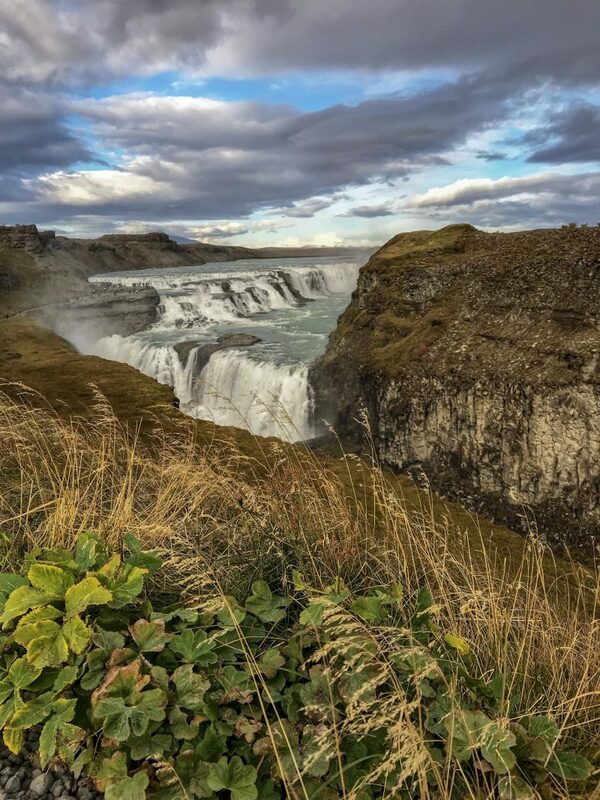 The third theory derives from Icelandic naturalist Sveinn Pálsson’s travel journal, which depicts a farmer who could not bear the thought of someone possessing all his gold after his passing and threw the gold into the waterfall, which has since been named Gullfoss. We could have spent hours at Urriðafoss falls. 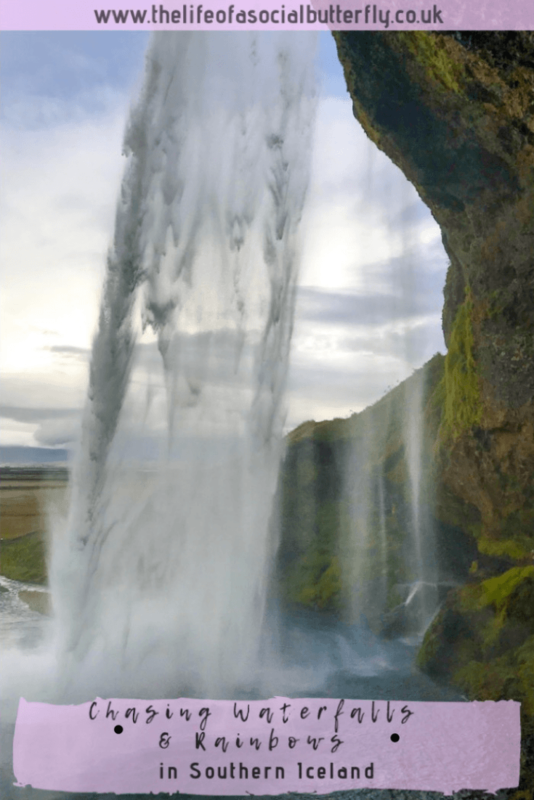 The most voluminous waterfall in Iceland but a lot lesser known too. With the sun on our backs and only the sound of the water falling off the rocks, nature’s peace washed over us and consumed us in this moment. 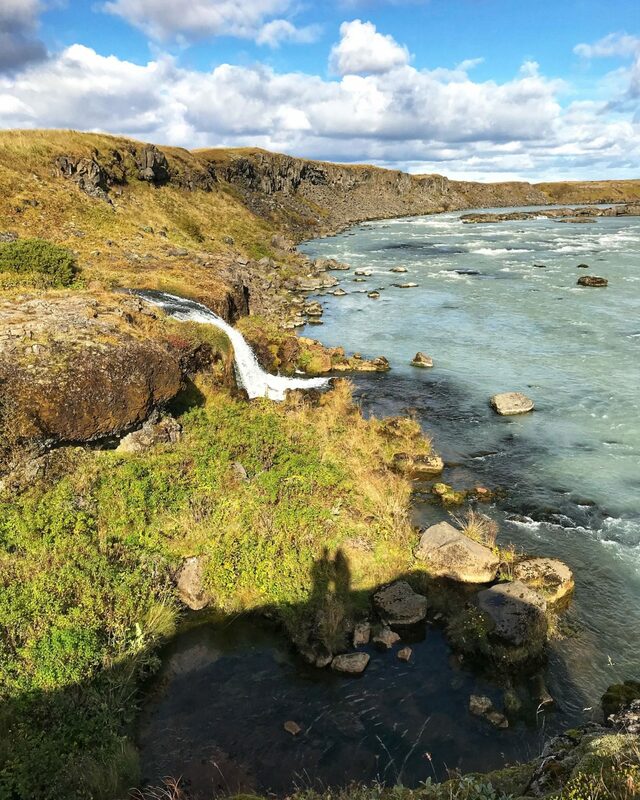 It really is a remarkable and peaceful waterfall, despite the fact that more water flows over Urriðafoss falls in the Þjórsá River than any other Icelandic waterfall. 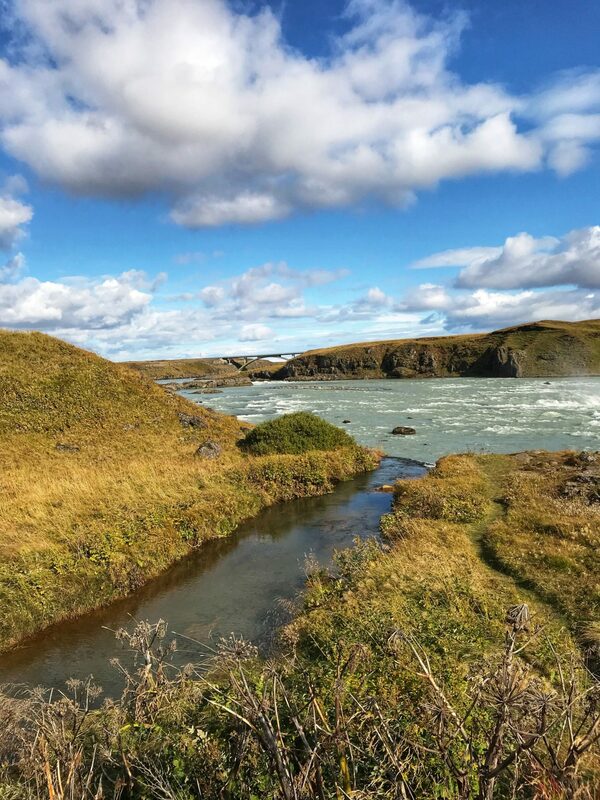 The Þjórsá, Iceland’s longest river, flows along the eastern edge of a lava field with the biggest flow on earth from a single eruption since the Ice Age. 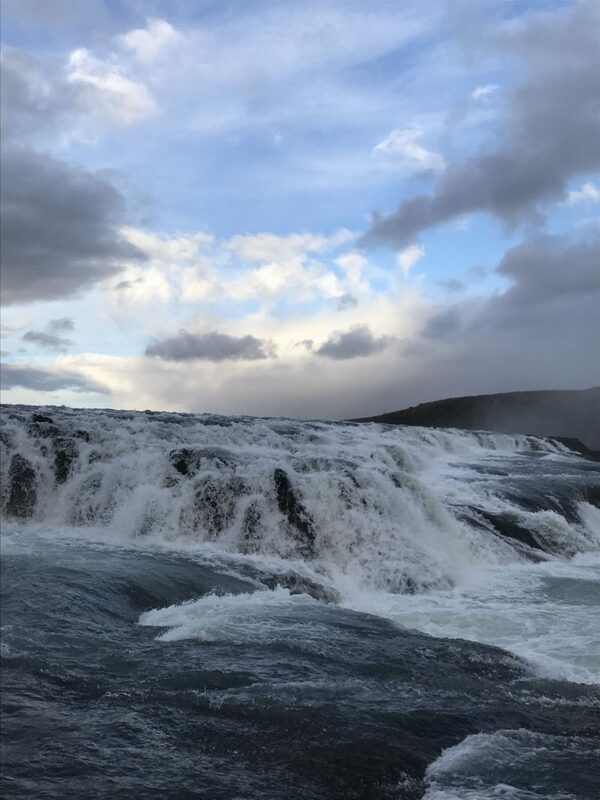 The Urriðafoss falls, which has the most wild salmon in all of Iceland was one of my favourite waterfalls during our trip. Perhaps, because it’s a little lesser known, you can really soak up the natural beauty of the falls and the surroundings. 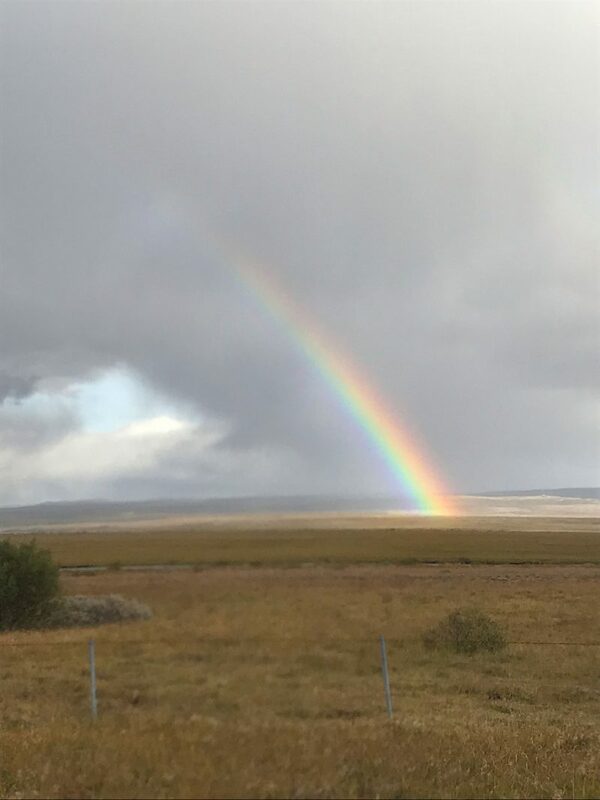 A glorious rainbow shined over the falls and left us awestruck. If only we had brought a little picnic along with us! 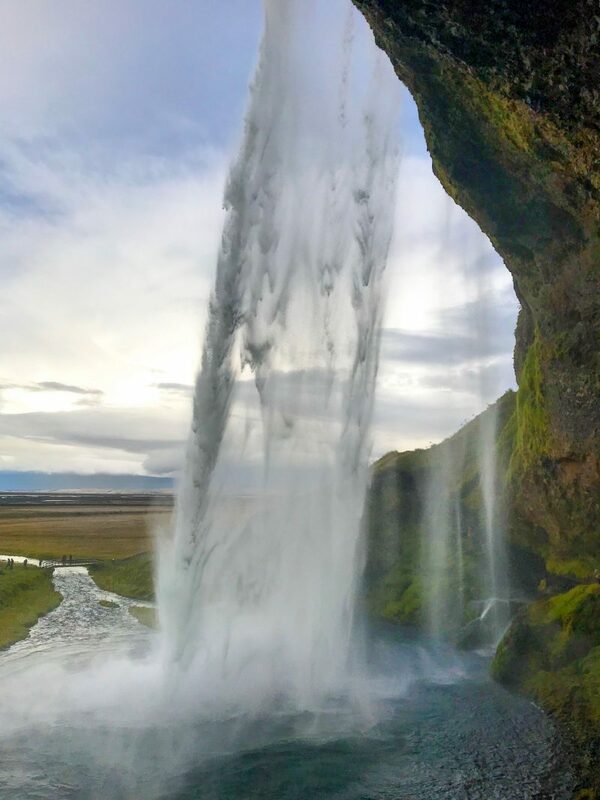 Legend has it that behind the dramatic falls of Skógafoss a hidden treasure chest can be seen protruding through the water spray filled with gold and treasures. It is said that locals discovered the chest left by a Viking settler many years later, but were only able to grasp the ring on the side of the chest before it disappeared. The ring was gifted to the local church and can now be seen in Skógar Museum. 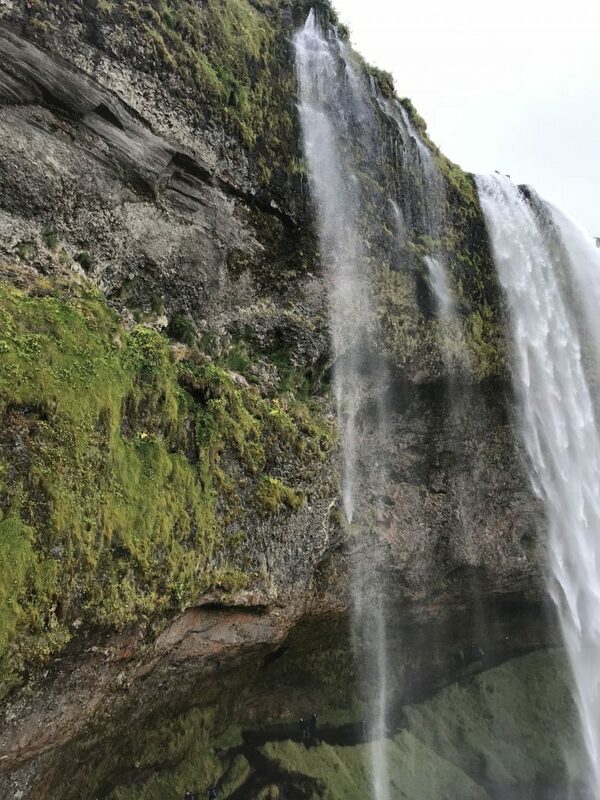 Perhaps one of many folklore stories surrounding the waterfalls, though Skógafoss is one of the most magical of Iceland’s waterfalls. 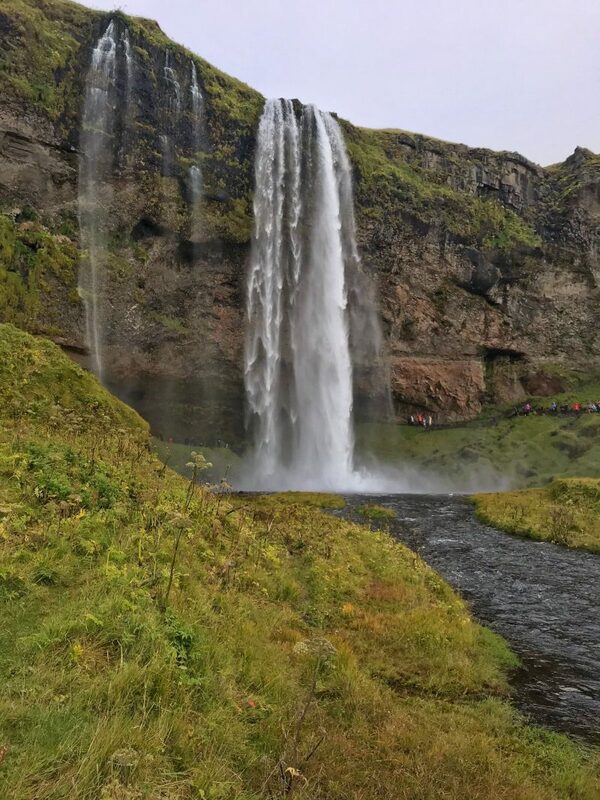 Skógafoss is a waterfall you can walk right up to (you may want to bring a quick dry towel as you will get drenched!) 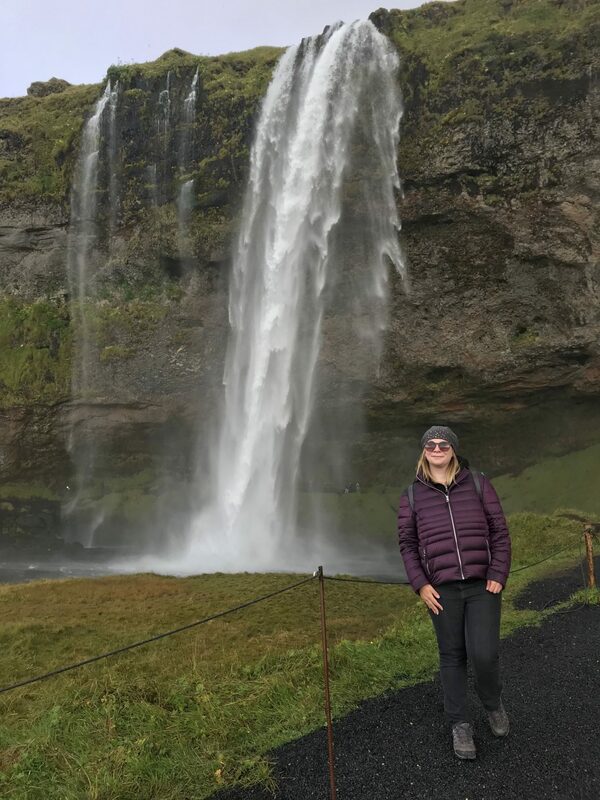 Skógafoss is known as a place to experience the most beautiful waterfalls, it is not unusual to see a single and sometimes double rainbow produced by the falls on sunnier days. If only we had visited this waterfall earlier in the day! 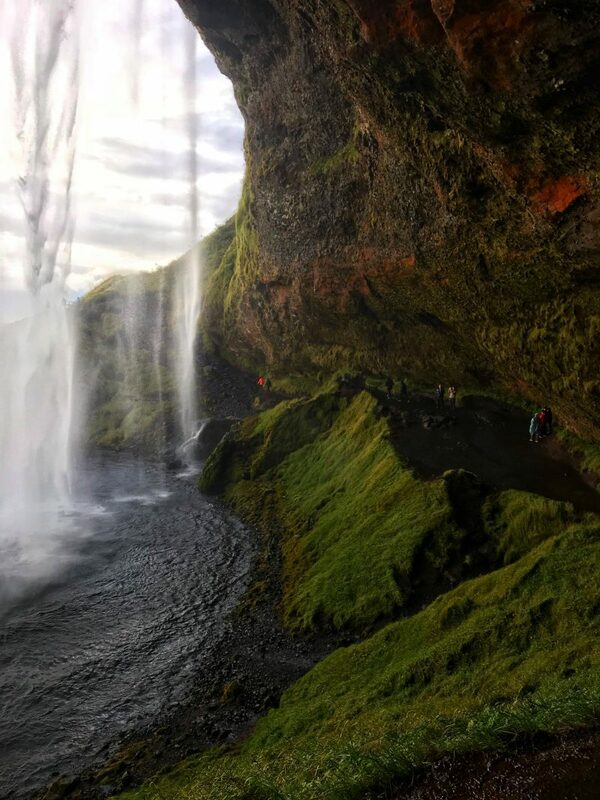 Another favourite of mine is Seljalandsfoss, an Icelandic waterfall you can actually walk behind into a little cavern (weather permitting.) This majestic waterfall carries much misty spray so expect to get wet! Luckily, visiting in Autumn meant that we got to see the beautiful autumnal colours inside the cave. It really is breathtaking. Gljúfrafoss or Gljúfrabúi is a small waterfall located north and within walking distance of Seljalandsfoss. Peaking through the chasm of Gljúfrabúi, I wish I’d brought some wet shoes to climb through and see the waterfall with my own eyes. Gljúfrabúi waterfall has a certain mystique about it. Hidden in a little chasm and surrounded by palagonite rock, the area is believed to have been inhabited by huldufólk (hidden people.) At the inner end of the basin there is a cave called Ompuhellir, named after a hermit woman who lived here. 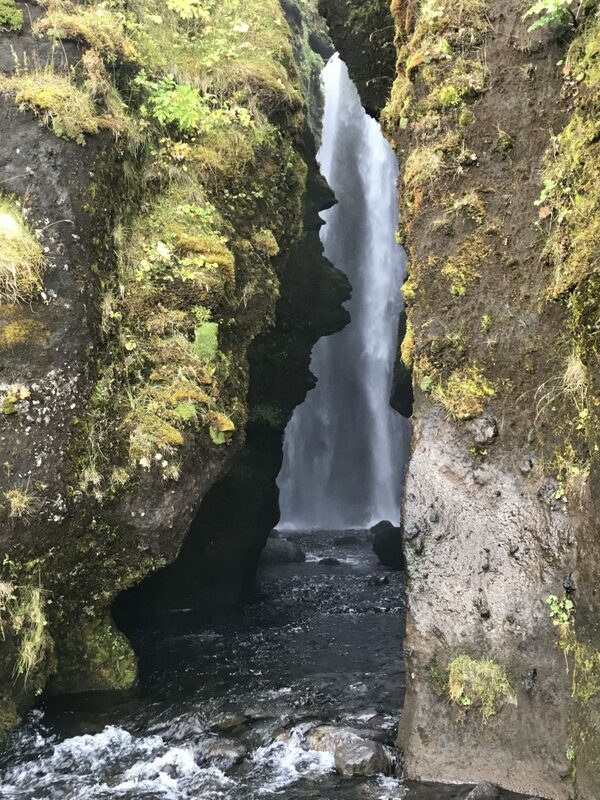 A worthy look to unlock the secrets of Gljúfrabúi if you’re visiting the more well-known Seljalandsfoss. Adam and I hired a rental car and drove to all the waterfalls, without the need of a tour company (you can read about driving in Iceland by clicking here.) Having seen these 5 waterfalls with my own eyes, I can 100% verify they are just as beautiful in real life as they appear in photos on Instagram. 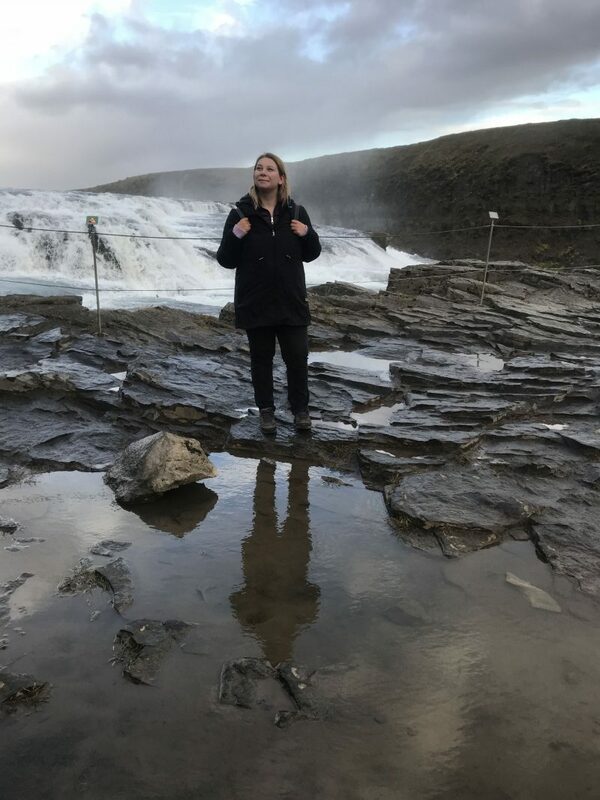 As I mentioned in my 11 Things To Know Before Visiting Iceland for the First Time post, the weather is unpredictable in Iceland to say the least! One minute you can be enjoying glorious sunshine and the next caught in a downpour! But, whatever the weather you are in for a treat in Iceland so certainly don’t let it put you off. 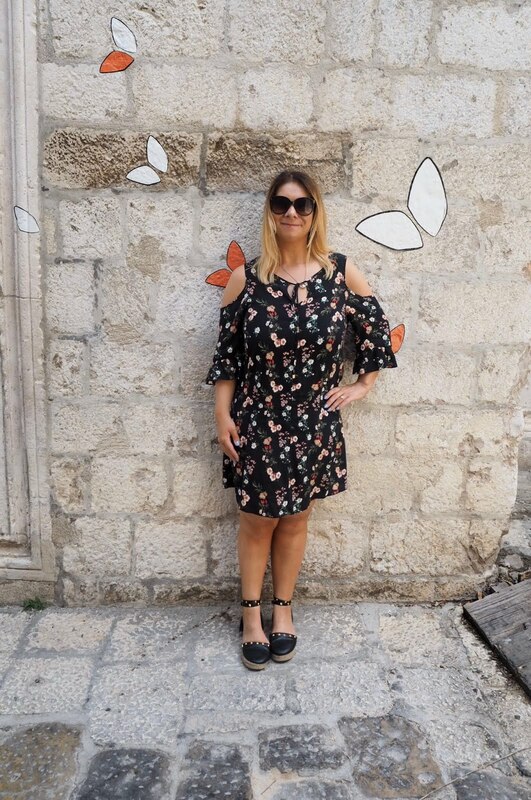 This post isn’t simply called chasing waterfalls, there are plenty of rainbows to be seen too! 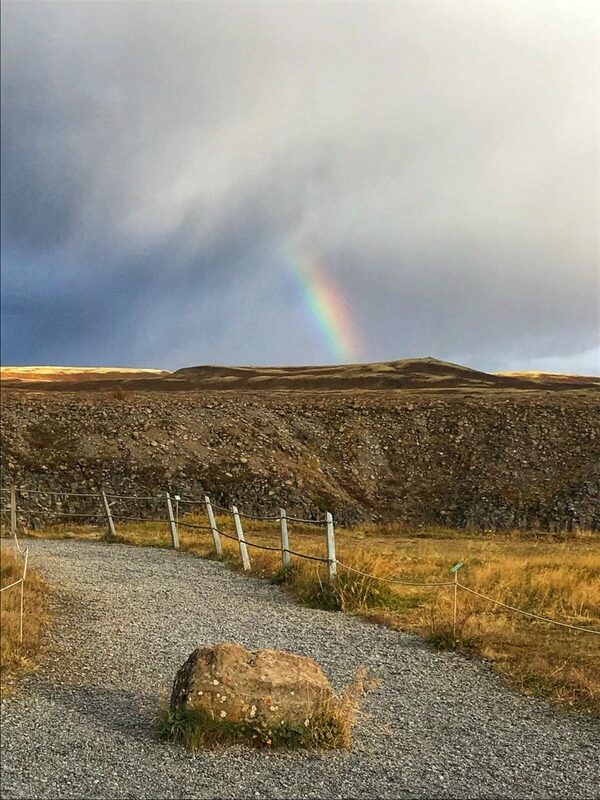 You never know, you may even find some gold behind one! 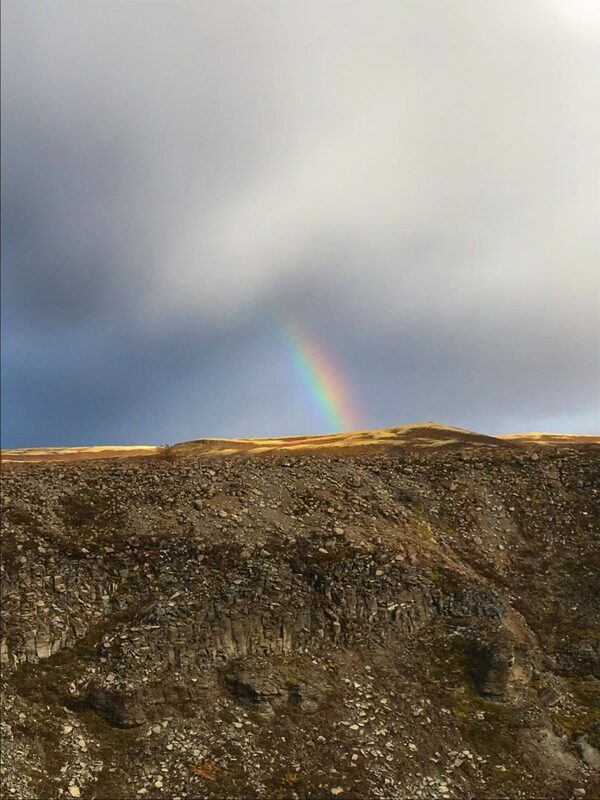 I hope you enjoyed reading about chasing beautiful waterfalls and rainbows in Southern Iceland. If you did, please share this post (using the share buttons on the left or underneath this post.) Let’s spread some Icelandic magic to others!